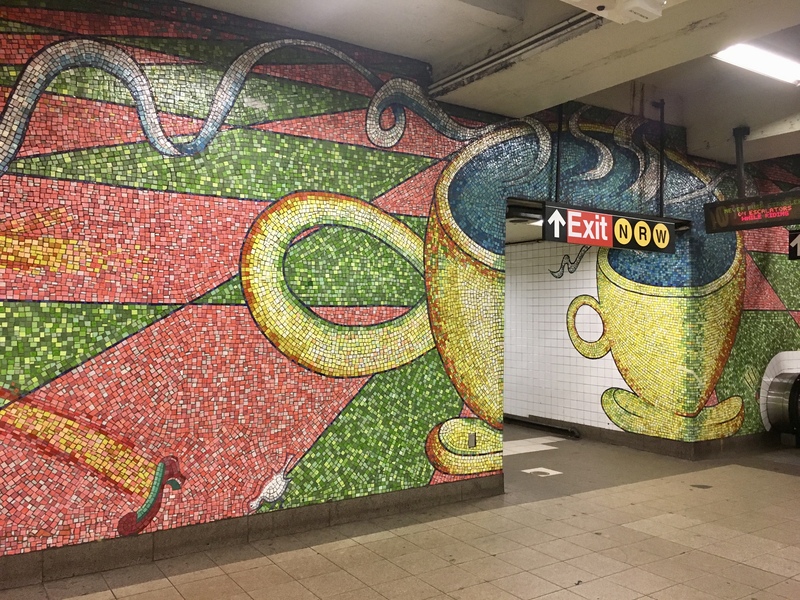 If you’ve ever had to transfer from the 4 and 5 lines at 59th Street / Lexington Ave to the N/R/W or 6 trains on the upper level, then you have passed by the huge mosaic tile Coffee Cup Mural on the mezzanine level, which is part of a larger work called Blooming, by artist Elizabeth Murray. 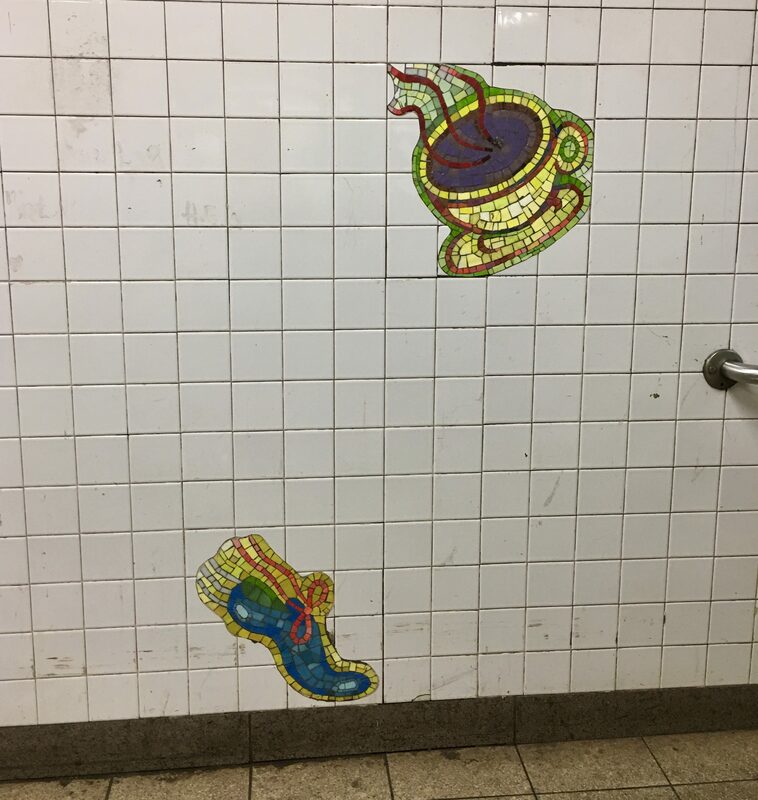 Murray has also scattered smaller mosaic tile shoes and coffee cups through the stairwells and on the train platform walls. 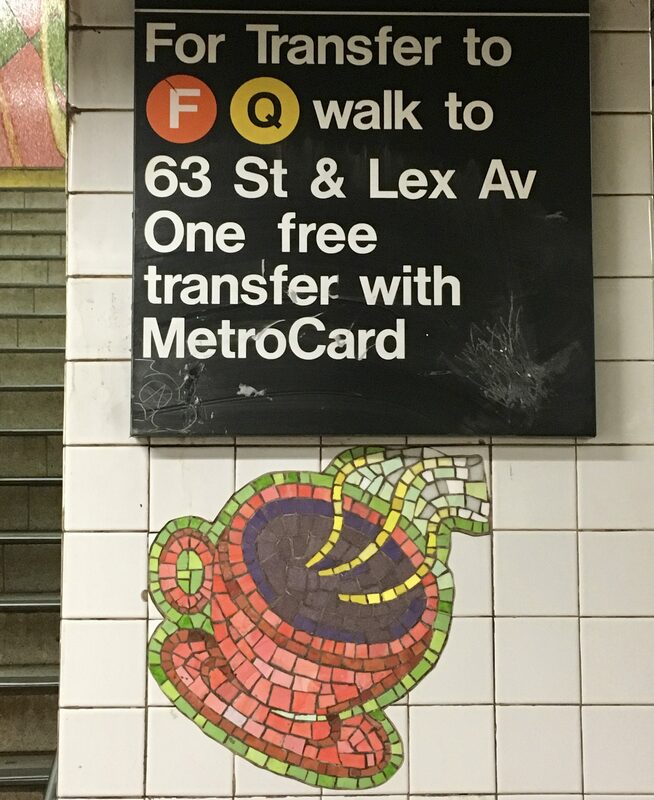 The artwork was installed in the station in 1996. Coffee forever. This is my kind of art.